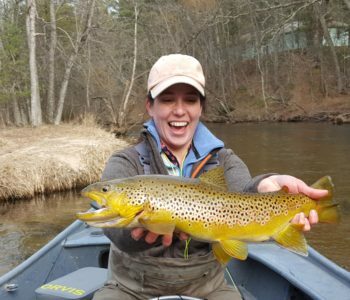 How long have you been fly fishing? Sarah Gardner can hardly believe that she’s wrapping up her 21st year as a full-time charter boat captain! 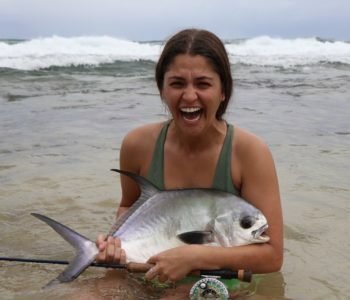 “Fishing doesn’t just fit into my life,” she says. 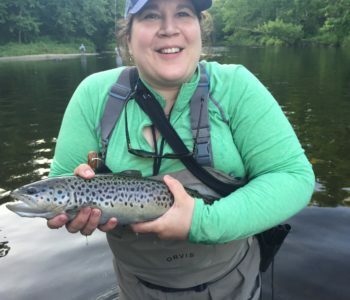 “It is my life.” Sarah has fished since she could walk and has been fly fishing for over 25 years. 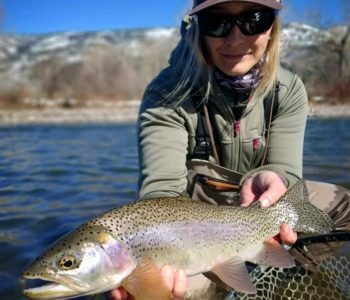 Her early introduction to fly fishing and falconry (the art of hunting with hawks) was through the ancient writings of Dame Juliana Barners, a female fly-fishing pioneer. Instead of playing with dolls, Sarah made hunting equipment for imaginary hawks, fished every day in the summer, and dreamed about tying her own flies. After getting a Bachelor’s degree in Illustration from Moore College of Art in 1987, she worked in advertising for several years, but she never felt comfortable working inside. To be around other like-minded people and earn extra money, she took an evening sales position at Anglers Sport Center, a big outfitter in Maryland. 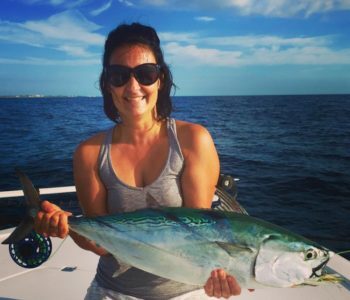 Within a month, Sarah quit advertising and joined Anglers full-time. For the next decade, she lived to hunt and fish. During this time, she also worked as an environmental educator for the Chesapeake Bay Foundation. Teaching kids and adults about the environment, while paddling in canoes for CBF was the perfect stepping-stone to guiding. Despite doing what she loved, her career appeared to be at a dead-end. 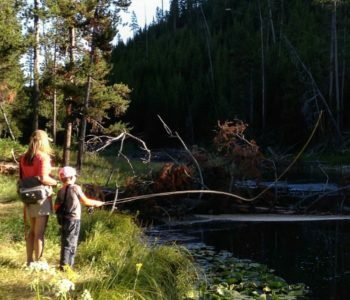 Then, a surprise phone call from legendary fly fisherman Lefty Kreh changed Sarah’s life. 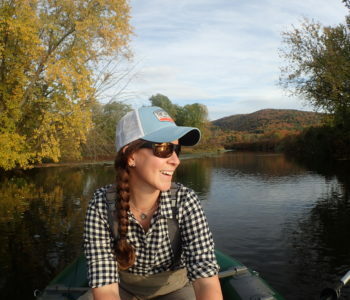 Lefty suggested that she channel her eclectic set of talents and become an outdoor writer. 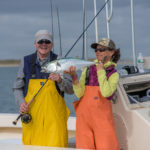 It was a scary job move for a bad speller, but Lefty’s confidence never wavered, and Sarah soon had an article published in a regional fly fishing magazine. 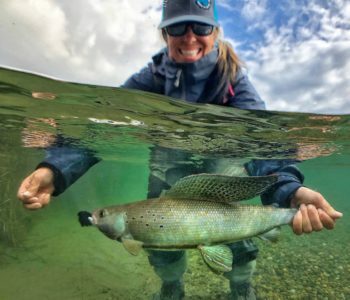 In the two decades since meeting Lefty Kreh, she has authored several weekly and monthly fly-fishing columns and countless freelance articles, and her photos have also been published with her writing and independently. 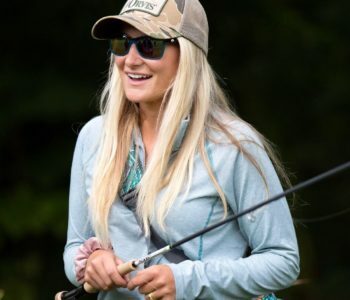 Sarah continues to do fly-fishing presentations and casting demonstrations throughout the US. She finds that teaching is a really important part of being a good guide and says that it’s especially gratifying to help other women feel comfortable in traditionally male sport. 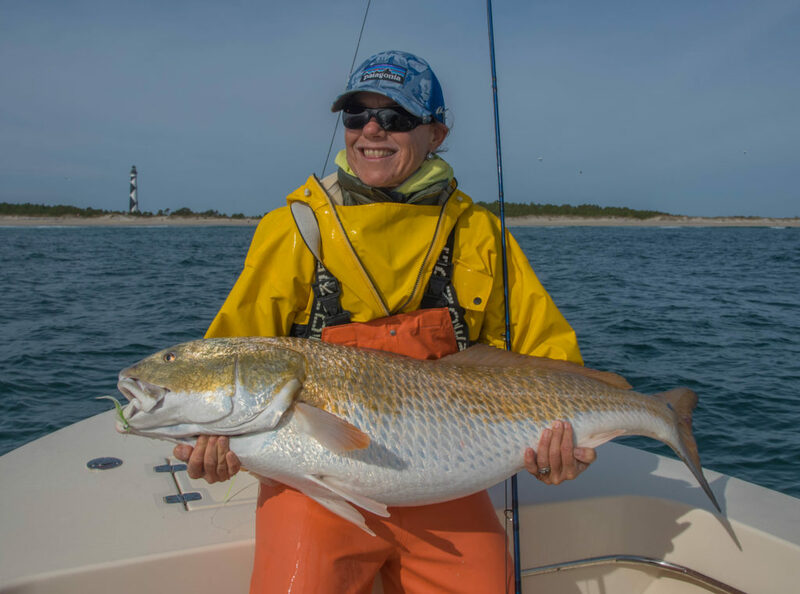 In 1997, Sarah moved from Maryland to the Outer Banks of North Carolina, because of great fishing opportunities and a fantastic man. She has been married to Capt. Brian Horsley for 15+ years, and 2018 marked her 21st season as a full-time charter boat captain! 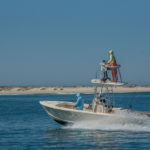 Her office is a 23-foot Jones Brothers Marine center console boat named “Fly Girl.” Both the Atlantic and Pamlico Sound are loaded with stripers, blues, sharks, red drum, speckled trout and a variety of other fly munching fish. 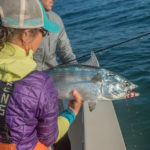 In September, the “Fly Girl” moves from Oregon Inlet to Cape Lookout, North Carolina, where Sarah and her clients chase a variety of species including false albacore in the ocean off Cape Lookout.